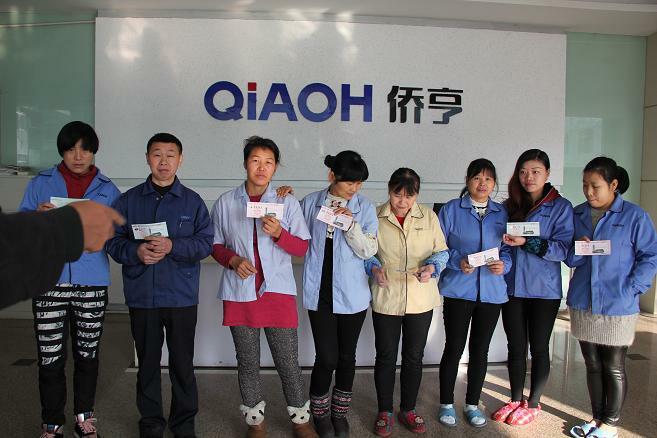 Return ticket vouchers, Qingnuan staff - Company news - NEWS - Shanghai Qiaoh Industry Co., Ltd. 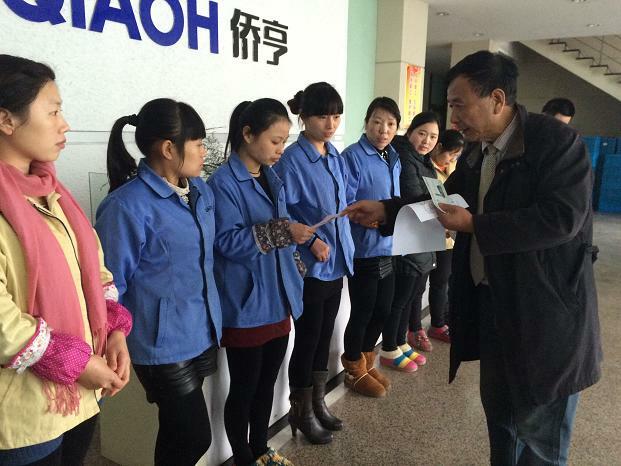 In January 28th, Zheng Anhua qiaoh company unions from 20 Street Union ticket vouchers to staff one by one hand, and to the staff sent a new year's blessing. 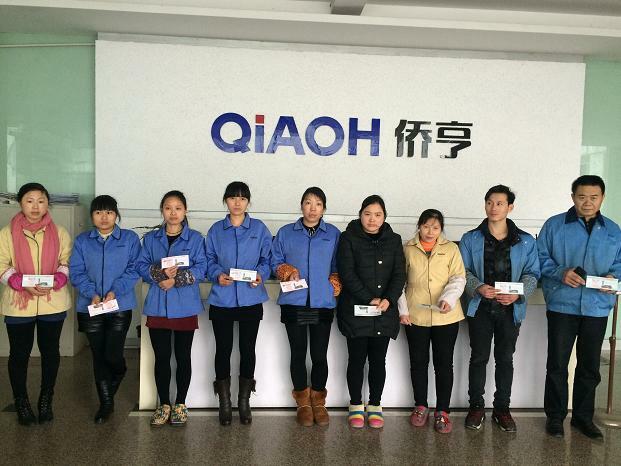 Get the vouchers for most employees from Chongqing, because home is far away, round-trip fare is not a small fee. In spite of their homesickness, they did not go home for the new year. The trade union's activities have helped the employees solve the difficulties and facilitate their way home.